Child marriage negatively impacts health outcomes for girls and their communities. It contributes to maternal mortality, as risks for pregnancy complications are highest in adolescence. Additionally, marriage increases risk to intimate partner violence, which often means the end of a girl’s education and vocational opportunities, and increases a girl’s risk of exposure to sexually transmitted infections, including HIV. The health of adolescent girls in emergencies can be improved if we know the scale of child marriage as a problem and how to best address it. Data are not currently available to confirm how many girls may be affected by the practice of child marriage in emergencies, nor what can be done to effectively address this issue. The proposed research presents a timely opportunity to build upon existing child marriage interventions and maximize learning, in three relevant emergencies. Through the collection and analysis of data on child marriage prevalence in three emergencies, this project will conclusively provide information on the scale of this problem, and thus enable prioritization of prevention programming, and public health interventions for married adolescent girls in emergencies. 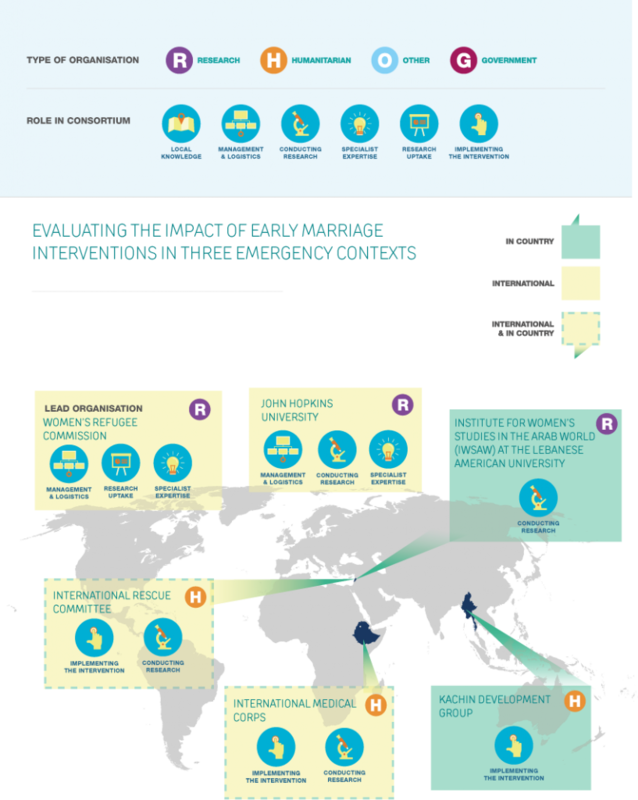 This project will additionally examine the effectiveness of prevention and response programming for child marriage in humanitarian emergencies. 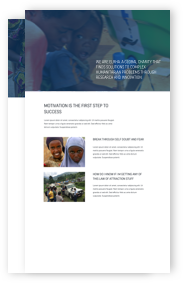 Evidence-based programs and learning will be available for humanitarians, which will advance adolescent, gender, protection, and reproductive health policies and guidelines for the prevention of and response to child marriage. Health outcomes for adolescent girls (and specifically morbidity and mortality) and their communities will improve, by delaying first birth, reducing adolescent child bearing, and improving access to and utilization of health care for young married adolescents.